Which was pretty much exactly as requested! I decided pretty quickly that I wouldn't be making the characters out of icing, and apart from that it didn't look too bad. 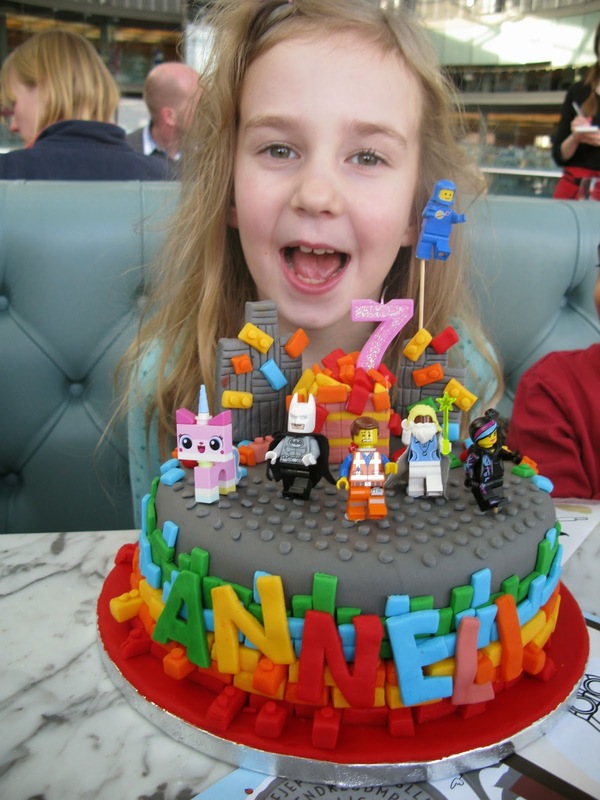 We'd bought the Bean a Lego set containing Emmet, WyldStyle and UniKitty for her birthday, which was helpfully a few days before the cake was required for the party, so that just left Benny, Batman and Vitruvius. 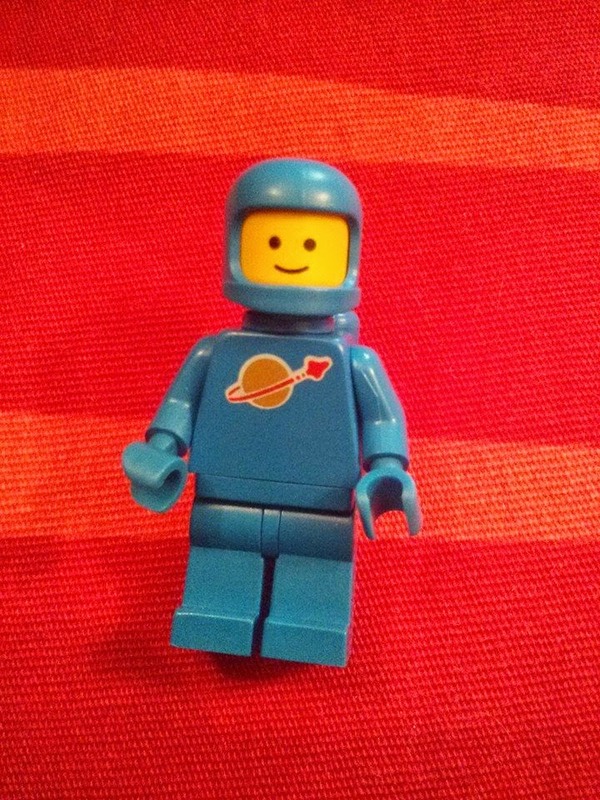 I cannot tell you how excited I was to find spaceman benny in D's old 80s Lego collection! I managed to cobble together a Vitruvius, but it's best not to examine him too carefully! If you followed my novelty cake posts before you'll have heard me say time and again how much I dislike shop-bought fondant icing. It costs a lot, and it tastes horrible. In the past I've just tried to overcome it with an unhealthily thick layer of flavoured buttercream underneath, but I decided this time to try something I've been meaning to make for some time: marshmallow fondant. It turns out making fondant is not only cheap and easy, but it tastes vastly superior to the shop-bought stuff. I used this recipe, and as I was just trying it out, I decided to make a huge block and colour it later. I added in large slug of lemon juice too, as my girls are obsessed with lemon icing! Next time, I will certainly colour the marshmallow mixture prior to the addition of the icing sugar, as it is much easier to stir in a colour than knead it in at the end. As ever, I used Wilton paste colours; you just can't get a good red or black any other way. For the red and green, I needed to add a little oil to keep the texture right. Instead of the lovely little white marshmallows, I used a standard supermarket home-brand bag of pink and whites. They are about half the price of the tiny ones, and as I was going to be colouring up the whole batch, I didn't think a little bit of pink would matter. You usually have a lot more white than pink in a pack in any case. As I don't have shortening in my pantry, I used vegetable oil, which worked fine. 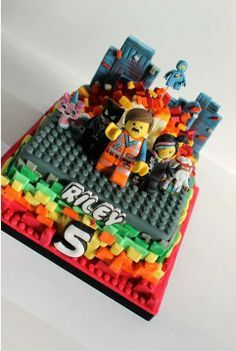 I highly recommend double wrapping and then sealing in a box and leaving the fondant for a few days before using it. It's texture seems to become better with age. Do not let it dry out though!